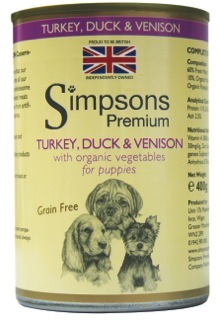 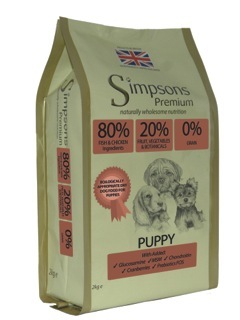 Turkey, Duck & Venison Casserole with Organic Vegetables for puppies is made using only naturally wholesome ingredients and contains no rendered meat or derivatives and is suitable for all breeds. 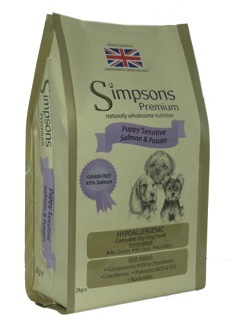 It is totally Grain Free making it ideal for dogs who suffer allergies and contains no artificial colours, flavours or preservatives. 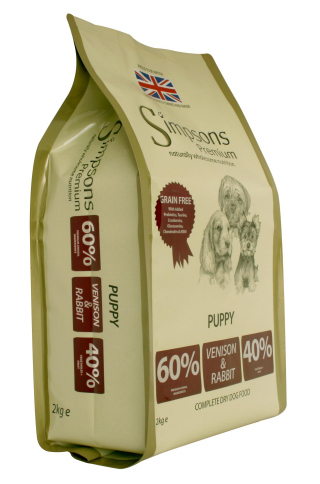 60% Fresh Meat: Turkey 40%, Duck 10%, Venison 10% , Organic Potatoes, Organic Carrots, Organic Pumpkin, Organic Spinach, Vitamins and Minerals.